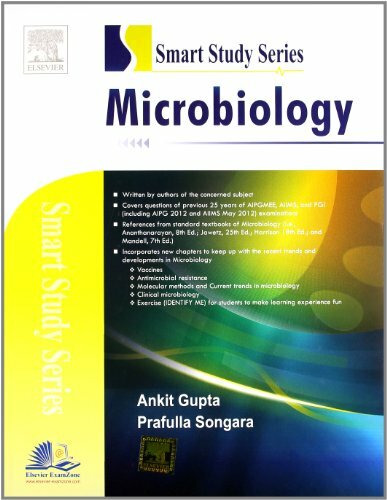 Medical Microbiology is one of the very important subjects taught as part of the medical curriculum and in AIIMS PGMEE it contributes 10 questions out of 200 and in All India PG it contribute 15 questions out of 300 questions. This subject deals with the study of the micro organisms associated with disease in humans i.e. infectious diseases. Infectious diseases form a major burden of disease in a developing country like India and the problem is further compounded by emergence of resistance to antimicrobials in many pathogens. Furthermore, there has been a relentless emergence of newer pathogens over the past few decades exemplified by HIV, Prion, SARS virus and Pandemic influenza virus. And also, the advancements in the field of Medical Microbiology are taking place at a break neck speed with new scientific knowledge being created in the field of diagnostics, treatment and prevention of various infectious diseases almost on daily basis. The PGME Exams are getting tougher by the day with questions being asked on advanced concepts, newer scientific knowledge and increased clinical orientation, due to which, at times even standard Medical Microbiology Text Books are not enough to solve questions. The proposed book therefore, would address all these issues which have been mentioned above. The book would be divided in sections covering all aspects of Medical Microbiology including Immunology. In each section, the latest information from various sources would be provided in a concise manner and simple language. Key points to remember would be mentioned at the end of the text. This would be followed by previous years solved Multiple Choice Questions with detailed referenced explanations including explanation on why other incorrect choices happen to be incorrect. Explanations, if required, would be supported by line diagrams and tabular information.